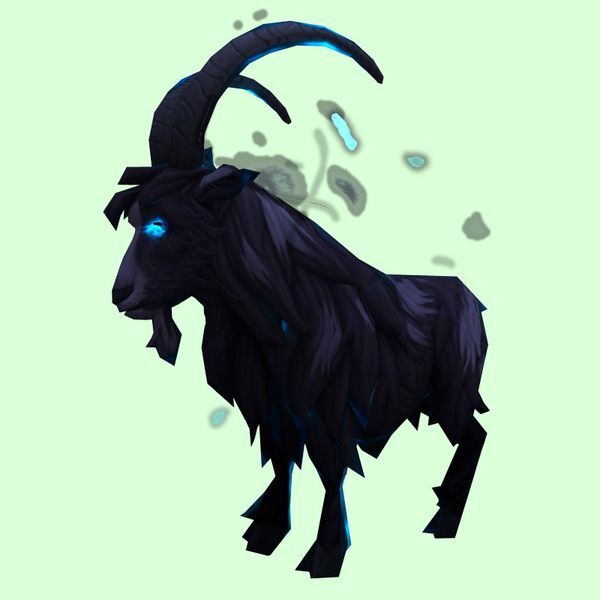 This goat retains its dark curse aura after taming. Its base colour is Spotted Black. Located in the snowy mountains far north of Fallhaven.